EHSA – Electro Hydro Static Actuators are compact modules that integrate to Electric Servomotor, Hydraulic Pump, Hydraulic Actuator, a small reservoir and Hydraulic Circuitry Manifold. For actuator motion control, EHSA do not need the power dissipative Control valves and are therefore highly efficient. In combination with a digital controller, they provide adequate control of Position & Force. They have been used in machines and in Airborne flying controls. 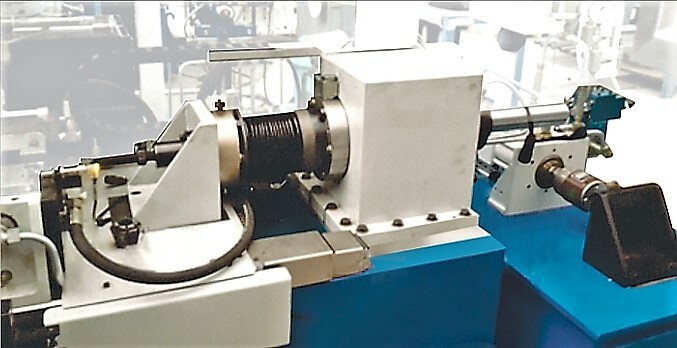 Here we demonstrate their application to a friction welding machine with the system in Position & Force modes switching (on the fly), as demand. by the machine cycle. Oil quantity reduced from 250 Ltr. to just 2 Ltr.